A team of scientists, led by Professor Winfried Hensinger at the University of Sussex, have made a major breakthrough concerning one of the biggest problems facing quantum computing: how to reduce the disruptive effects of environmental "noise" on the highly sensitive function of a large-scale quantum computer. The University of Sussex's Ion Quantum Technology Group have managed to dramatically reduce the effects of such environmental "noise" affecting trapped ion quantum computers, reporting their findings in an article that has today, Thursday 1 November 2018, been published in the prestigious journal Physical Review Letters. It means the team is one step closer to building a large-scale quantum computer with the capability to solve challenging real-world problems. When built, large-scale quantum computers will be able to solve certain problems that would take even the fastest super computers billions of years to calculate. In order to create a quantum computer that can solve such problems, scientists will need to increase the number of qubits, which in turn will increase the size of the quantum computer. The problem is that the more qubits that are added, the more difficult it becomes to isolate the computer from any realistic "noise" that would disrupt the computing processes. Hensinger's team of University of Sussex physicists have made a quantum computing breakthrough that is capable of mitigating some of these problems. They collaborated with theoretical scientist Dr Florian Mintert and colleagues from Imperial College London, who proposed a theory of how one might be able to solve this problem by manipulating the strange quantum effects in use inside a quantum computer. The theory allows – making use of the strange properties of quantum physics – the execution of quantum computations in such a way that changes in the initial operational parameters of the machine do not lead to a substantial change in the end result of the computation. This in turn helps to insulate the quantum computer from the effects of environmental 'noise'. Dr Sebastian Weidt, senior scientist in the Sussex Ion Quantum Technology Group, explains the significance: "Realising this technique may have a profound impact on the ability to develop commercial ion trap quantum computers beyond use in an academic laboratory." The Sussex team went to work to see whether they could actually implement this theory. They used complicated radio-frequency and microwave signals capable of manipulating the quantum effects inherent in individual charged atoms (ions), to demonstrate this in practical experiments. Their implementation is based on microwave technology, such as that present in mobile phones. Following months of intensive work in the laboratory, the Sussex scientists have managed to make this new method a reality, experimentally demonstrating its capabilities to substantially reduce the effect of "noise" on a trapped ion quantum computer. Prof Hensinger, Head of the Ion Quantum Technology Group at the University of Sussex – which last year unveiled the first blueprint for a large-scale quantum computer – says: "With this advance we have made another practical step towards constructing quantum computers that can host millions of qubits. Such machines are capable of solving certain problems that even the fastest supercomputer may take billions of years to calculate and be of great benefit to humanity; they may be able to help us create new pharmaceuticals; find new cures for diseases, such as Dementia; create powerful tools for the financial sector; be of benefit to agriculture, through more efficient fertilizer production, among many other applications. We are only starting to understand the tremendous potential of these machines." Hensinger's group is now utilising this new technique as they put the final touches to a powerful quantum computer prototype that is currently in their laboratory at the University of Sussex. Hensinger says: "It's now time to translate academic achievements into the construction of practical machines. 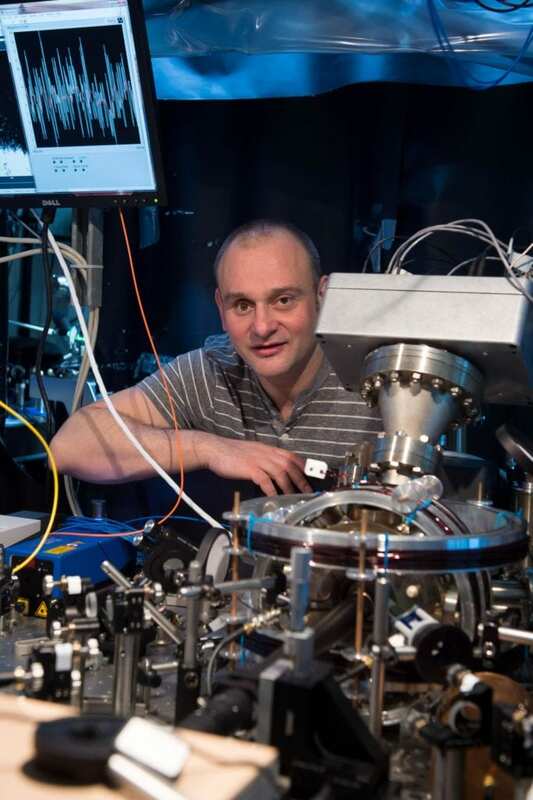 We're in a fantastic position to do this at Sussex and my team is working round the clock to make large-scale quantum computing a future reality."